Working from home has it’s little joys (like living in yoga pants and unlimited supplies of coffee), but one of the hardest parts for me, is not being able to go to work to see other people. I love community! And honestly, working from home can get pretty lonely at times. Do I enjoy the flexible hours? Yes. Do I love being able to blare my music as I edit and email? Absolutely! But I also crave the “team work” aspect that comes from working with other people towards the same goal. This past week I had the incredible opportunity to be a part of the Society for Creative Founder’s Conference. 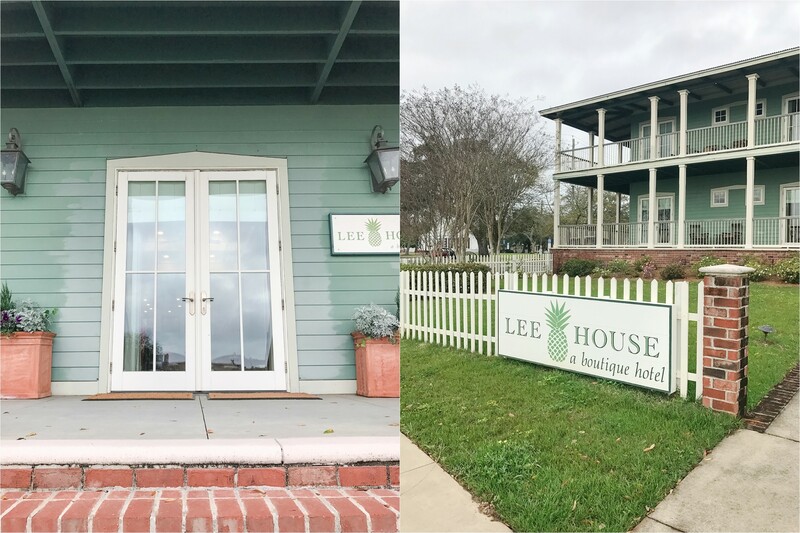 Held at the Lee House along the beaches of Pensacola, Florida, this conference was just want I had been needing! 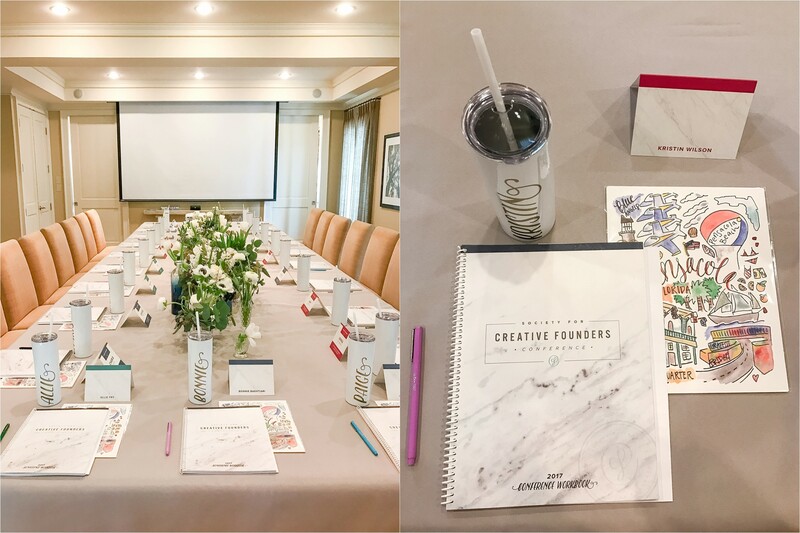 Featuring some of the most incredible female entrepreneurs, the Society for Creative Founder’s Conference empowered it’s attendees in such a beautiful way. Women from across the nation came together for one purpose: to better their businesses. 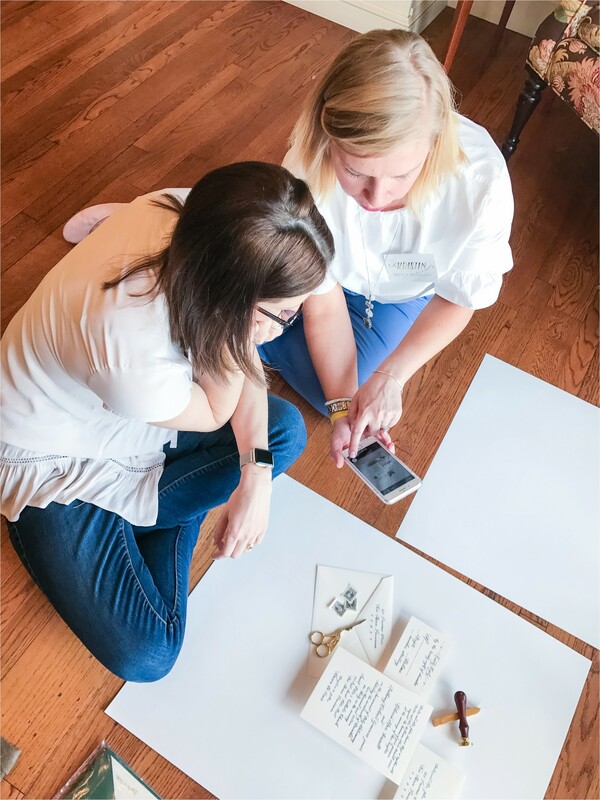 From learning from about marketing to their ideal client, to how to style better Instagram photos, this three day conference revolutionized each attendees perspective on small business. How did it do that? By bringing everyone together. Filled with creative minds and hearts, this conference inspired it’s attendees in heart, mind and spirit! 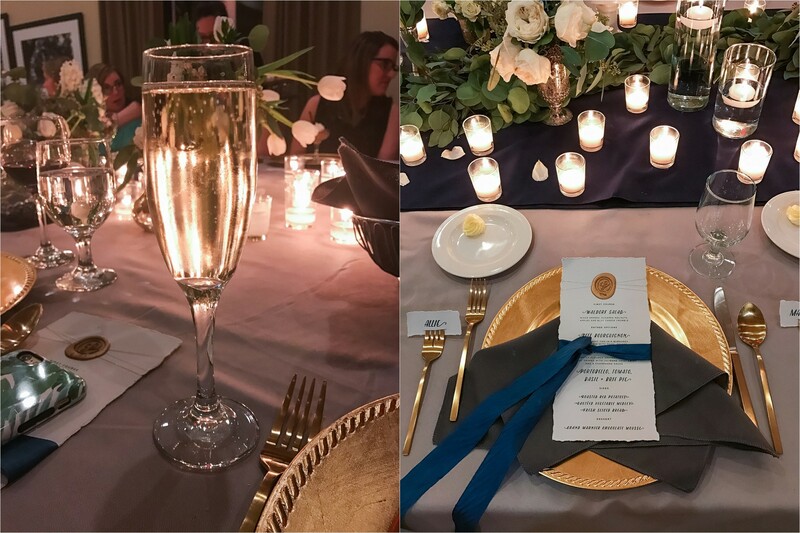 From the fancy, creatively crafted dinners, to the incredibly crafted swag bags, and the ever intentional structure of the schedule, each detail was filled with heartfelt inspiration. I think one of my favorite moments from the conference came during a break out session. Huddled in a room, one woman asked to be placed in the “hot seat”. 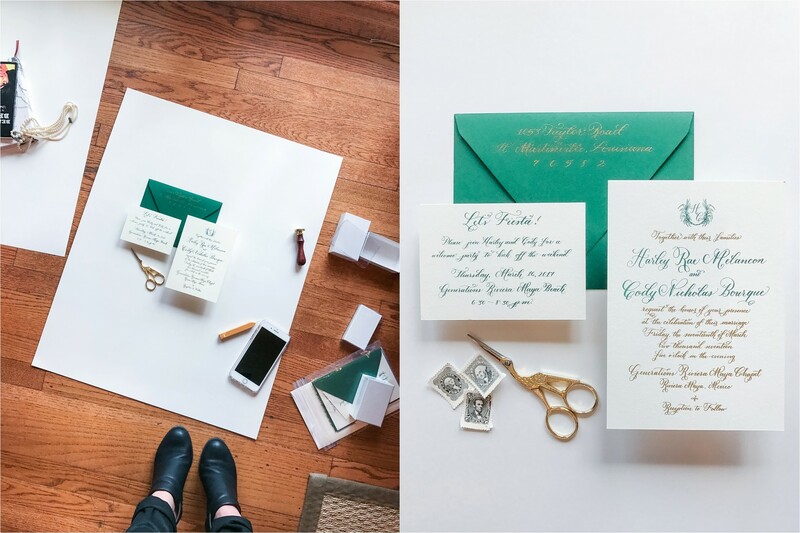 She wanted attendees to ask her questions, so she could better market products and hone in on her skill-set to better figure out what set her business apart. It didn’t take long for the room to be filled with encouragement, and tears of joy. Sometimes all we need is someone to understand us, and help us see what we don’t. Sessions were spent around a farm table where incredible information and insight was served. I think it is SO important to invest educationally — no matter the cost. Whether your a small business owner, or not, education is empowering! 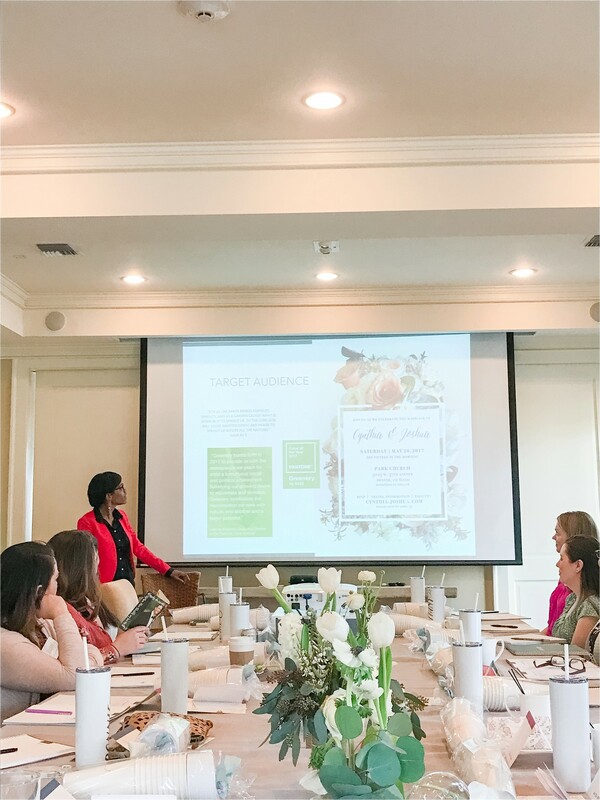 Speakers like Olivia Omega, Kristin Wilson from Grace and Serendipity, Jennifer Faught and Bonnie from B is for Bonnie taught on everything from marketing to how to make your business fuel your life (not BE your life). I walked away with my heart full and my mind spinning! Sometimes small business owners have spent so much time working FOR their businesses, that they forget their businesses are supposed to work FOR them! I think more than anything, I walked away refocused, and absolutely excited. At one point Jennifer Faught asked us what kind of life we wanted to look back on when we were 80. What mattered most to us? What did we want to accomplish? What kind of things did we want to have? Where did we want to be? These questions really helped me find perspective !! What about you? Are there things you want to do but need a little nudge to start moving toward? Are you living the life you want to life? If not, why not? Sounds great. I love informations given in creative and challenging ways that inspire me to reach for higher goals and fresh new ideas! So glad you went!